This is a bundle containing four of our previous works of Haru's clothing. This is the color variation of Twinkle Stars for Haru Ver 1.0. Capable of partial color change. A set of accessories and boots parts for use with Haru. 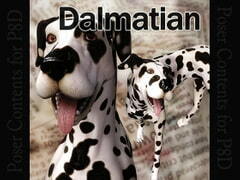 A Dalmatian character for Poser 8 Dog. 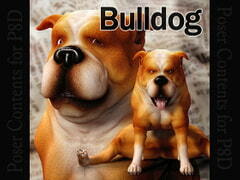 A bulldog character for Poser 8 Dog. 8x cowgirl clothing set for Haru. 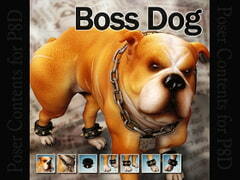 With different colors and full body morph.